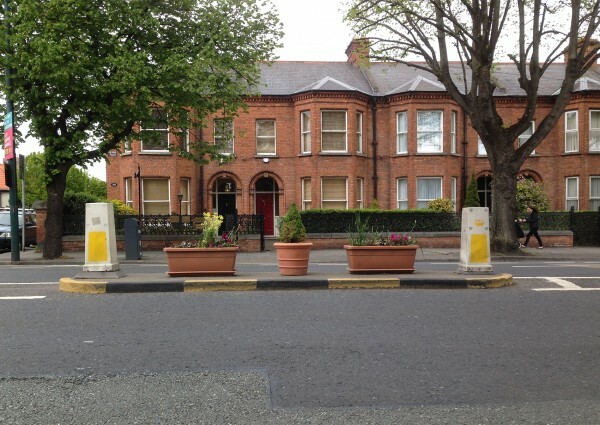 A most worthwhile scheme has been brought to NewFour’s attention – the traffic islands in Donnybrook are being turned into urban gardens. Motorists passing through may have noticed it and wondered what’s going on; NewsFour noticed that the place was looking brighter recently but were unaware of the work that has gone into getting it that way. The idea is growing all over the world, with many living in cities having nowhere to exercise their green fingers. In the USA, citizens of Washington DC even have a traffic island that is converted into a rain garden. It captures polluted storm water that runs off the surrounding roads. The soil and plants retain and filter the water. “There are a good few more islands stretching from Donnybrook Church quadrant to the bottom of Morehampton Road that will be inhabited over the coming weeks / months, so we’re looking out for anyone else to adopt a concrete patch and help us turn it into a jungle,” Brennan informed us. If you’d like to get involved you can contact DCC for more details.